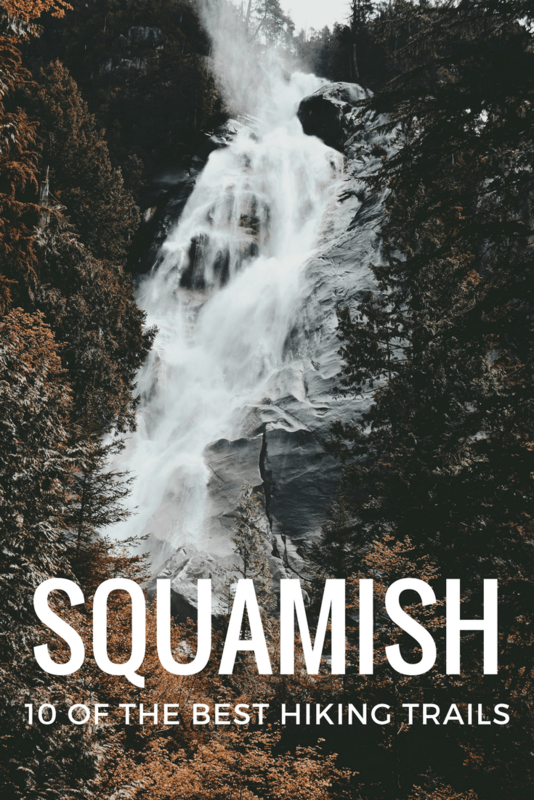 Sixty-four kilometres from Vancouver, on the far side of some of the most stunning highway scenery this side of the 49th parallel is Squamish — one of B.C.’s most famous natural playgrounds. For the wilderness-lover, Squamish has it all: mountains, rivers, lakes, endless trails and good coffee. And presiding over it all, the weather-streaked monolith of the Chief. 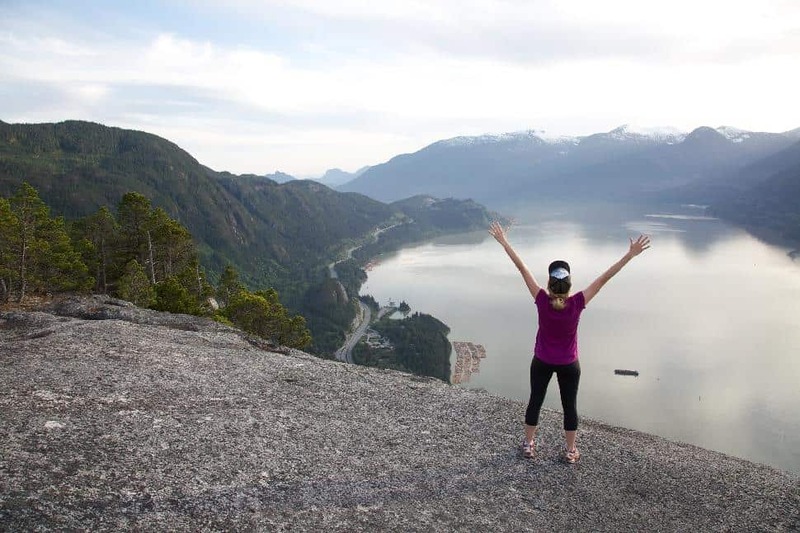 If you’re looking for some hiking, Squamish is a great place to go. Here are 10 of our favourite trails to get you started. Directions: The trailhead for this hike is at the top of the Sea to Sky Gondola, so prepare to pay for a round-trip ticket. The elevation gain-to-view ratio on this hike makes it a worthwhile pursuit since the gondola ride covers the bulk of the elevation. 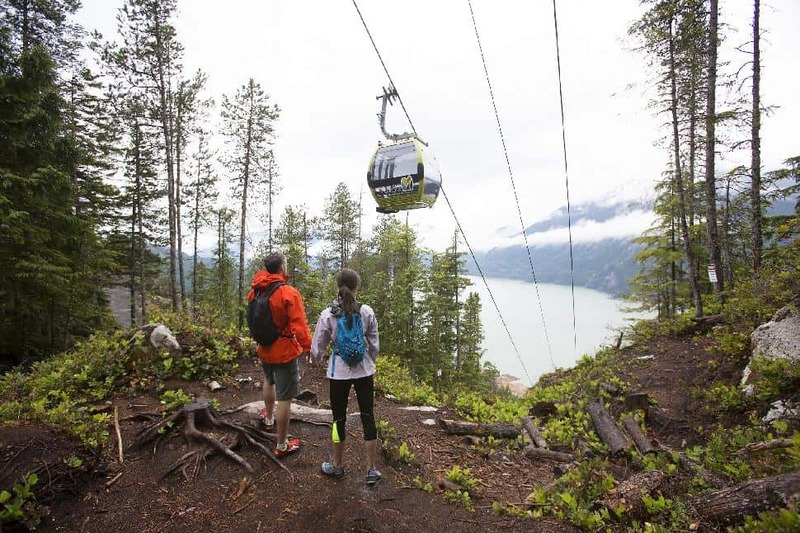 From the top of the gondola, climb upwards among big, widely-spaced trees before topping out on the bare granite slab that characterizes many Squamish hikes, and enjoying a view of the town, the river, and the impressive mountain ranges behind it. Follow the trail past the lookout for a few hundred meters and you’ll find a little lake marking the end of the hike. Where is the Sky Pilot Valley Trail trailhead? This trail also starts at the top of the Sea to Sky Gondola. Get up close and personal with Mt. Habrich and Sky Pilot. This trail ascends gently from the Summit Lodge to the base of Sky Pilot, offering much more intimate views of both mountains than lodge visitors enjoy. As you approach Sky Pilot, look out for waterfalls — but don’t go past the end of the marked trail, as the terrain beyond should only be attempted by experienced mountaineers with the appropriate gear. Where is the Sea to Summit Trail trailhead? The official entrance to this trail is at the Sea to Sky Gondola parking lot. However, the Sea to Summit hike can also be accessed from the Chief trail. Hikers are encouraged to take the Gondola down. The Sea to Summit trail’s mossy evergreens, granite lookouts and steep climbs will feel very familiar to hikers who have hiked the Chief. But this hike is longer and more varied, with flatter sections and patches of deciduous trees. 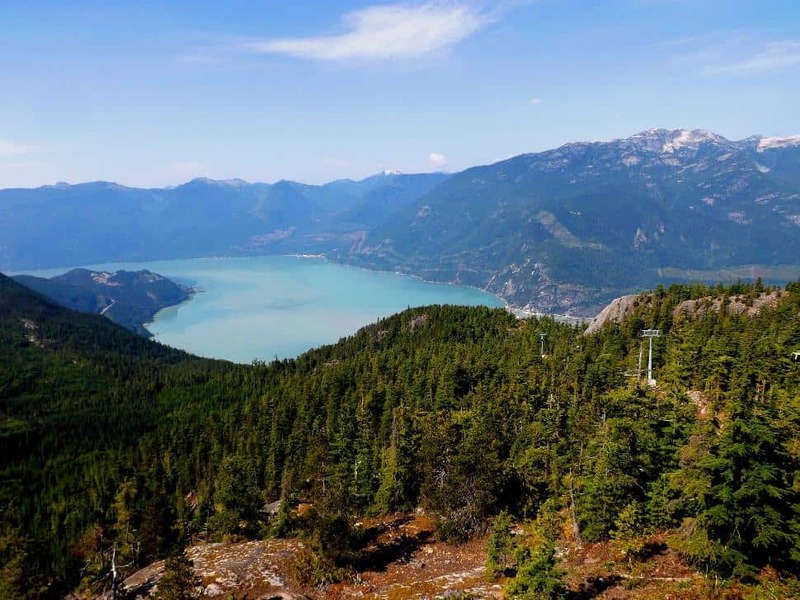 The reward at the top is the Sea to Sky Gondola’s patio, where you can purchase refreshments, put up your feet and enjoy the panoramic view of Squamish, Howe Sound and the Tantalus mountain range. Where is the Skyline Ridge trailhead? The Skyline trail begins from the Backcountry Access Road at the top of the Sea to Sky Gondola. You’ll need to purchase a ticket to access this hike. Forest road, cut-blocks, old-growth and alpine meadows all feature in this varied and beautiful hike. The ridgeline offers stunning views of the surrounding peaks, including Mt. Habrich and Sky Pilot. Where is the Howe Sound Crest Trail trailhead? The HSCT can be completed in either direction. The southerly trailhead is located at the Cypress ski hill parking lot. The northerly trailhead is in Porteau Cove. Most hikers complete in one direction and shuttle between parking lots. 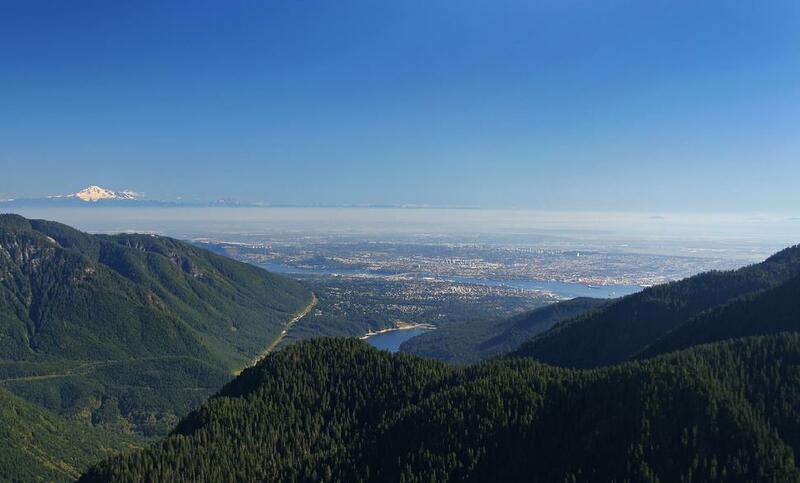 Maintaining an elevation many hundreds of meters above Howe Sound, the HSCT offers stunning views and varied terrain. The trail passes through lush meadows and alpine lakes, summiting several peaks along the way. Where is the Chief trailhead located? The trailhead is at the Chief parking lot. On sunny weekends and any summer day, the lot can fill up quickly. Head out early to avoid taking multiple laps to find a spot. Roots, rocks and a solid uphill climb make this short hike challenging, but the granite playground and panoramic views at the top make it worthwhile. Take a break from the (literal) staircase at the start of the hike to check out lower Shannon Falls. For a longer, less crowded adventure, follow the signs for the third peak instead. Where is the Slhanay trailhead? This hiking trail is accessible from the Chief's backside. Past the typical Chief peak trails, Slhanay leads into rocky terrain. The trail is steep and scrambly in sections. However, the view of the Chief, the inlet and the valley from the top is second-to-none. Where is the Beth Lake trailhead? From highway 99, take the Furry Creek Drive exit to Sea View Drive and turn left. The trailhead is at the bottom of the road. This trail follows a logging road for about 7 kilometers before ducking up into the trees past Beth Creek. Some people opt to take a mountain bike up this portion for a speedier descent. The trail climbs up through cut block and old growth trees, finally reaching Beth Lake — a pretty mountain lake framing a rocky peak beyond. 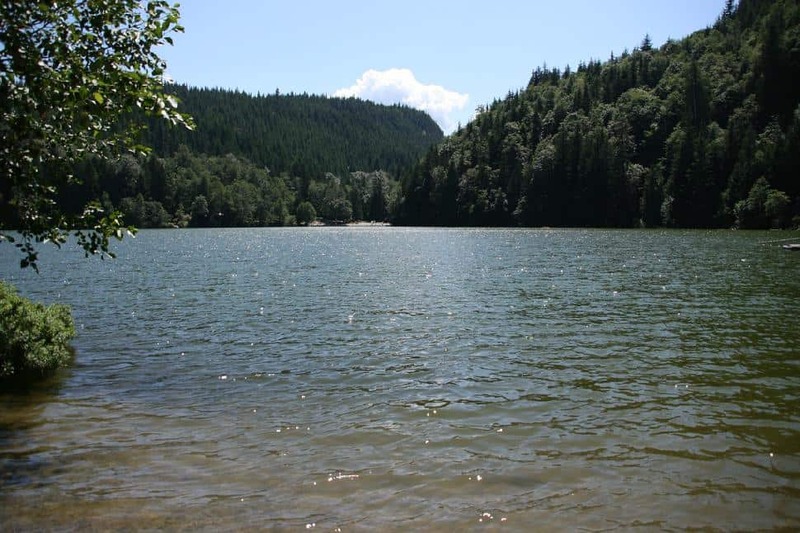 Note: For a more challenging adventure, continue past Beth Lake for another 8 km or so (and another 600 metres of elevation gain) to reach Capilano Mountain and a stunning 360-degree panorama. Be prepared to do some navigation as the trail is poorly marked in some spots. Where can I find the Four Lakes Loop Trail trailhead? Alice Lake Provincial Park is located about 12 kilometers north of Squamish on the Sea-to-Sky Highway. The trailhead for Four Lakes Trail can be accessed from the Stump Lake Parking Lot or the Alice Lake South Beach lot. Cross creeks, wander among the trees and stop to take in the lakes. 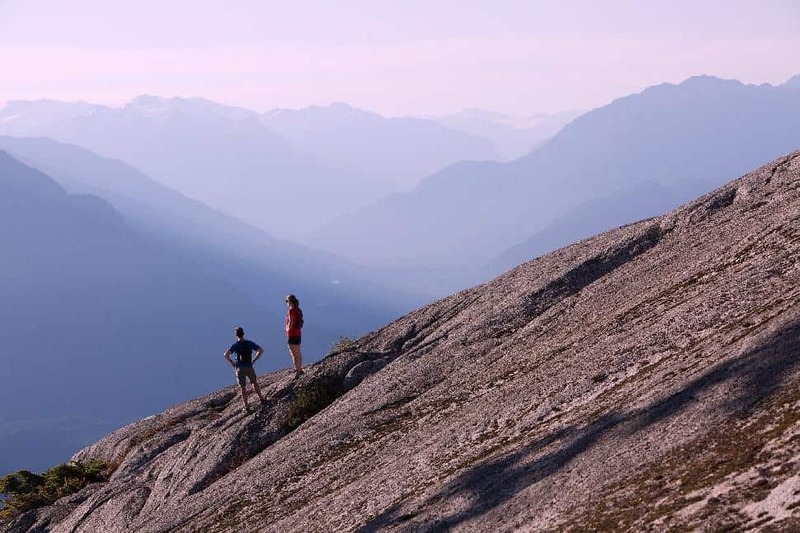 The Four Lakes Trail is a picturesque, family-friendly experience that offers a taste of what Squamish is famous for, and the option of a dip in any of the lakes to cool off. This loop also makes a great trail run. Be on guard for bears and cougars, both of which have been spotted in the area. Where is the Tunnel Bluffs Lookout trailhead? A short distance north of Lion’s Bay, the Tunnel Point rest area is the main parking lot for the Tunnel Bluff hike. The trailhead is across the highway, so be careful crossing. While the first portion of the Tunnel Bluff hike is an uphill battle akin to the Chief trail, it eventually evens out along a pleasant old logging road flanked with deciduous trees. The view of Howe Sound from the bluff is a stunning piece of eye candy, and well-worth the effort.